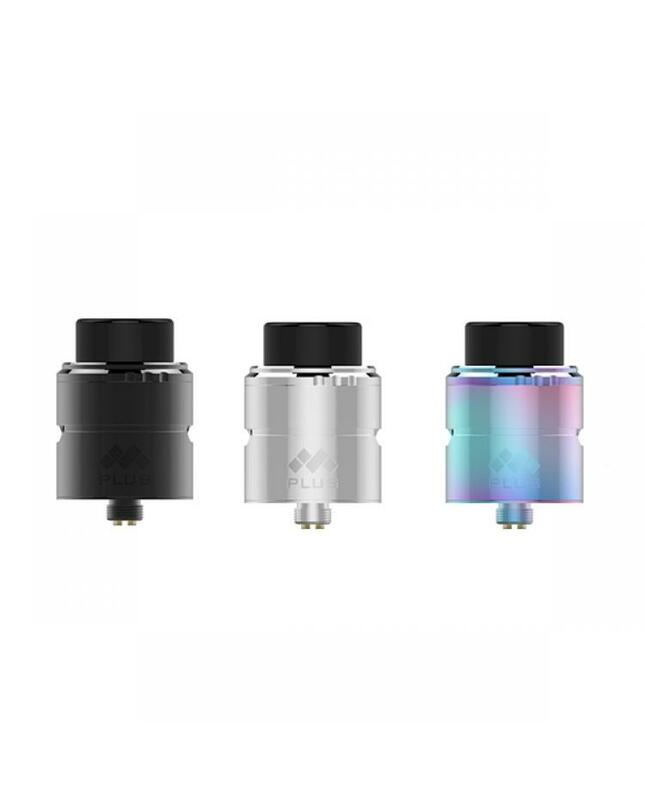 Newest vapefly mesh plus RDA, made of high quality stainless steel, three fashionable colors available,the new vapefly RDA with innovation no burning design, the top of mesh will never be dry burning any more and gives best flavor, the postless dual clamp deck easy for mesh or standard coil building, supports single and dual coils. 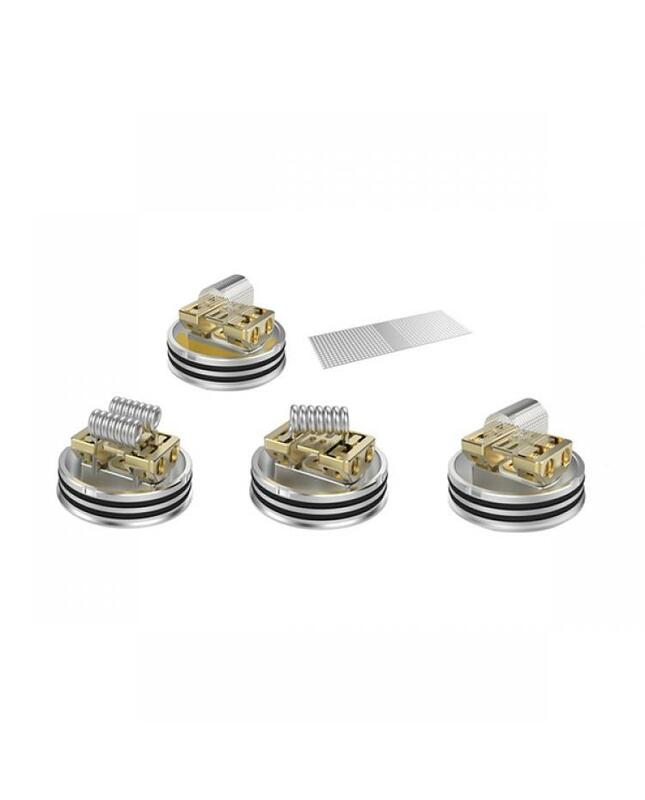 the limited slot design make easily removing RDA from box mod when they are too tight, the oblique hole for wicking, free control of coil length by cutting it after building. 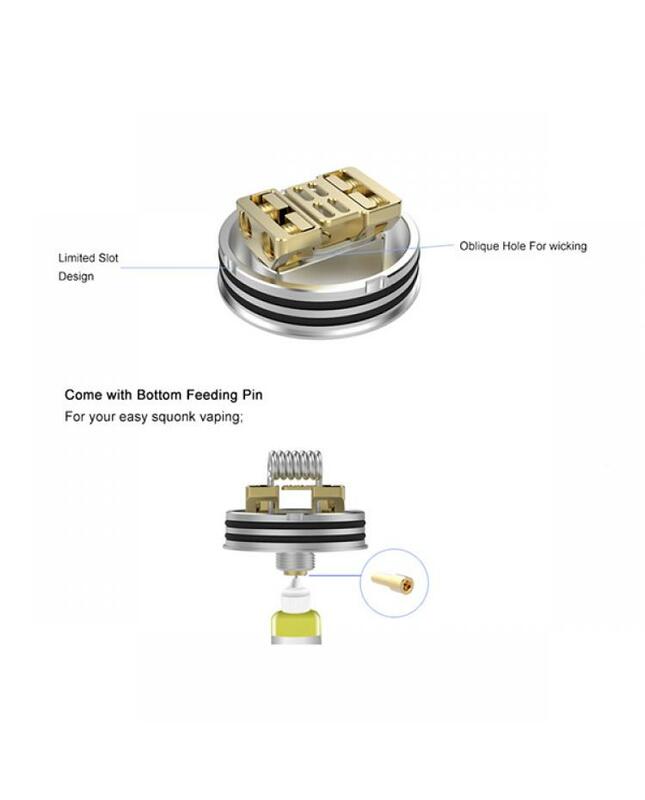 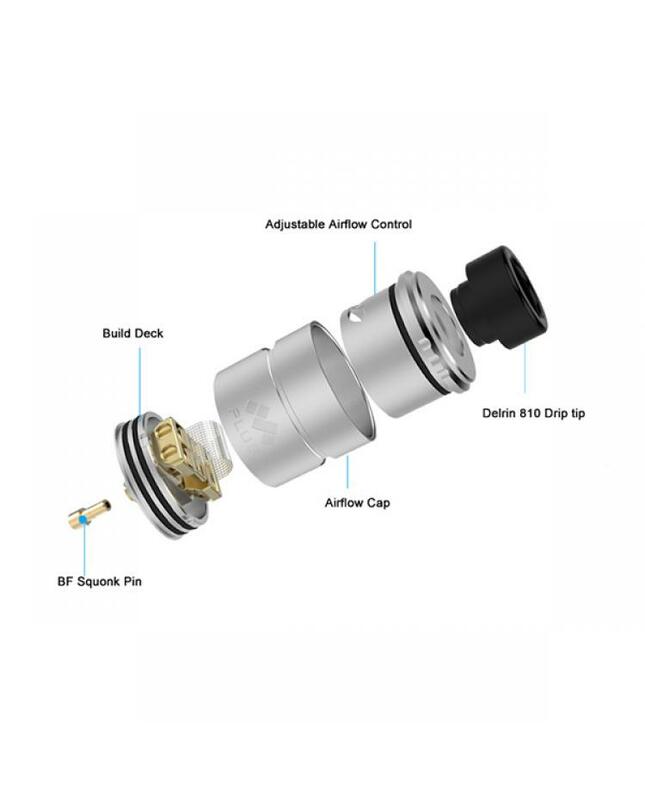 the tank comes with bottom feeding pin, can works with squonk vape mods. 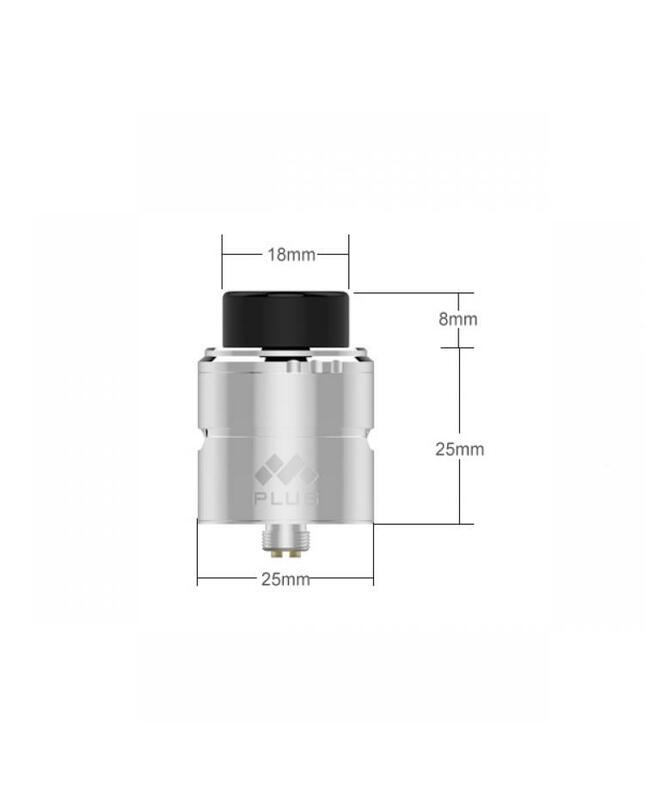 recommend works with vandy vape pulse BF squonk mod.